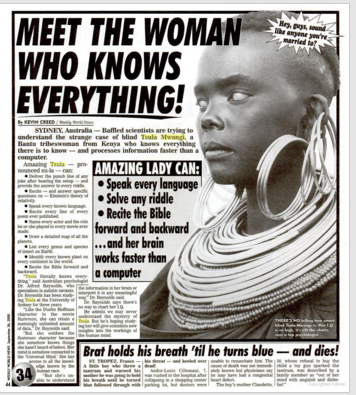 The Kenyan woman who knew everything. Supposedly. Her name was Tsula Mwangi. She could speak every language, deliver the punch line to any joke, answer every riddle, recite every line of every poem ever published, identify every known plant, draw a detailed map of all the planets, and recite the Bible forward and backward. She was the Rainwoman. Unlike the Rainman though, Tsula had access to information she had never heard of before. Her mind, the story went, was connected to “the universal mind.” She had an IQ higher than all charts because she knew “everything there is to know-and processes information faster than a computer.” She was also blind. And completely fake. Every few years, an internet user resurrects the story of Tsula Mwangi with the simple question “Was she real?” The answer is no. She was made up. Weekly World News was launched in 1979 after publisher Generoso Pope Jr. bought a color press for his main tabloid The National Enquirer. He still owned the black-and-white press and needed a project to keep it running. That idea became the Weekly World News. Its first editor was a 10th-grade dropout, but he managed to build a niche market for the paper. Where tabloids run true but sensational stories, Weekly World News exists in the thin line between fictional and non-fictional sensational news. Most of its stories cover paranormal themes, like the Tsula Mwangi hoax, told as true stories. But it was a weekly sitting on supermarket shelves across America with no fine print disclaimer. So some people were definitely going to take its stories as true. It didn’t help that some were, in fact, true. 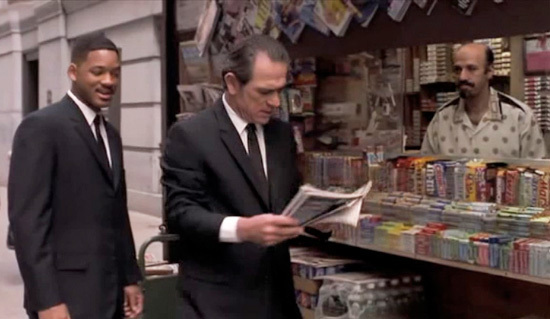 In Men in Black (1997), Tommy Lee Jones’s character, Agent K, comments on Weekly World News, saying it “has the best investigative reporting on the planet.” It was a joke, but an excellent plug-in. WWN ceased printing in 2007 and is now an online only production, with the same bizarre stories and the black-and-white funk. The scene in Men in Black where Agent K makes the WWN plug-in. As a franchise that requires the viewer to suspend disbelief, the partnership with WWN was apt. Source. There have probably been many Kenyan geniuses. Bethuel Mbugua’s case was one, and also one of the most disputed. There have been recent cases, such as the kid who can read colors, and the 4-year-old with an incredible memory. 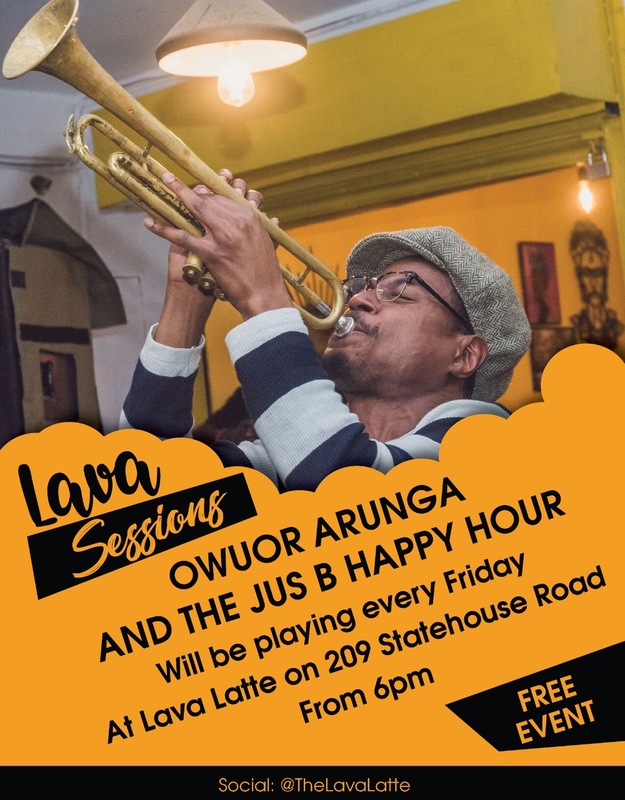 Tsula Mwangi, however, has never existed.